Although the Google Home launched with only a few services, Google made sure that right from the start it would be easy for developers to add their own services to the platform through the Actions on Google API. However, the Actions on Google API was only available for developers to create services on the Google Home. That means that the ever-growing list of services for the Google Home were inaccessible to Google Assistant users on smartphones. But that is going to change. Today, Google has announced that the Actions on Google API will allow third-party services to make transactions, and that services will now work on Google Assistant for phones. Transaction support will allow you to not only make payments for goods and services, but also track an order, modify an order, or re-order. You’ll be able to see your transactions in a history view. Assistant services can also send status updates on your order so you’ll know when it’s ready for pick-up. Google is also making changes to the Google Home app. The app will now categorize services and allow you to rate them, so you won’t have to deal with a huge list of services when trying to discover new and interesting Assistant services. Furthermore, within the app users can create a voice shortcut to a particular service, so they can immediately call a function of the service without telling the Assistant to launch that service first. Developers can build and deploy apps for the Assistant starting today. The documentation to do so is available online right now. 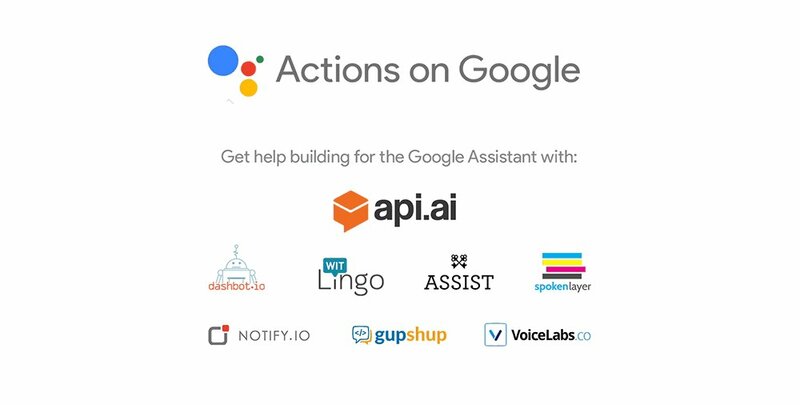 Actions on Google currently works with English (U.S) for Assistant on Android and iOS devices, with support for English in the U.K., French, and German to come later.